Like most areas of your house, your garage should have a checklist of things that you need to do yearly to keep it running smoothly. While maintenance is essentially no one’s idea of a good time, unlike other areas of your house, garage opener maintenance is something that will take under an hour to complete and will prolong the life of your garage door for years. 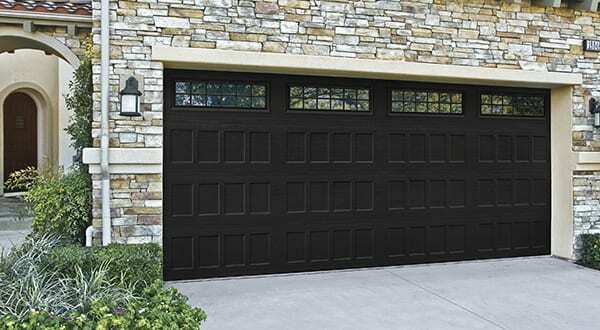 Replacing a garage door is costly, but like anything mechanical, a little bit of occasional love will greatly prolong its life. So what should you add to your yearly maintenance checklist in regards to your garage door opener? Is the chain that does the heavy lifting of your garage door beginning to sag? Then that’s a problem. A sagging chain will bang against the rail as well case cause the drive sprocket to work harder. Anything that causes wear that otherwise would not happen is a detriment to the lifespan of a garage door opener. However, all you need to do to fix this is to adjust the chain tension. As to how to do that, it actually varies by manufacturer so you may need the professional help of a service professional, at least the first time. While older garage doors may not have them, the safety sensors are two little devices that sit at the bottom of more modern garage doors. They shoot beams of light across the entry way and if something disrupts the beam, the door will reverse. This has been a great innovation in preventing garage door injury. However, if the sensors are not aligned properly because they have been bumped or otherwise jostled, they will fail to work properly. This can be particularly dangerous, especially if you are expecting them to function as normal. As a mechanical moving cog, the drive chain also needs to be kept lubricated to work properly. However, in order to prevent deterioration, make sure to give it a solid cleaning first as well. In order to prevent further grime from amassing, skip the use of grease and go with a lighter type of lubricating oil. Like in many maintenance tasks, this is indeed a job for your handy WD-40. While doing regular maintenance to your garage door open will stop many problems from occurring, even diligent maintenance can’t stop time. If your garage door opener is aging and needs repair or replacement, contact us today to talk over your options.